After the First World War the Voralberg voted to become part of Switzerland, but the League of Nations didn't allow it to leave Austria, and even today the area is distinct in character from the rest of Austria, even the Tyrol. The resort, part of the same ski pass as Zurs, is also part of the Arlberg ski arena, with St Anton and Kösterle only a short bus ride away - and I can remember a time when I skied between St Anton, Lech and Zurs on marked pistes, but those day have long gone for reasons I know not. Lech and Zürs between them have the reputation of being the most upmarket resorts in the whole of Austria, but the skiing is very good even ignoring the other Arlberg resorts you can easily access. From 2013 there is also a gondola link to Warth-Schröcken, which has some of the best snow conditions in Austria and significantly extends the terrain you can get to on the lift pass. 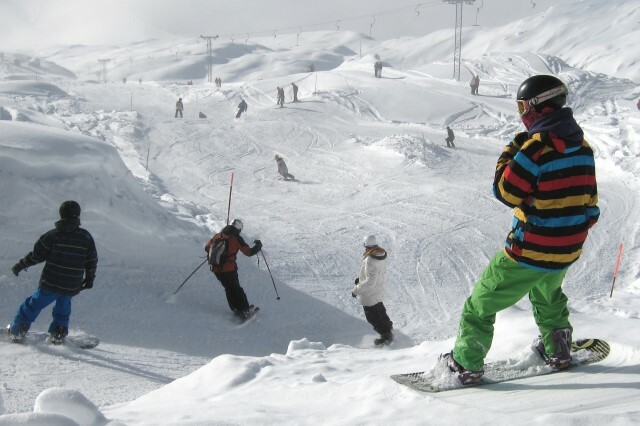 Did you ski Lech or snowboard in Lech? What did you think? Have you taken the train to Lech? 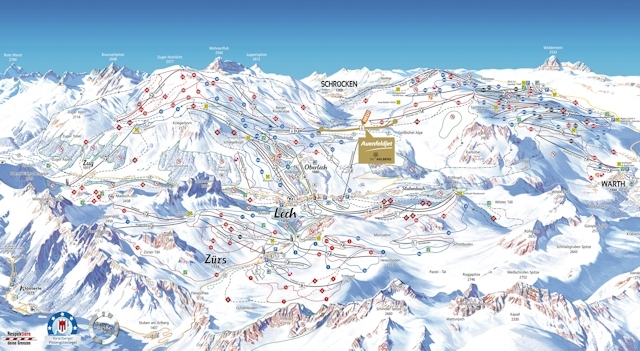 Do you have any tips on accommodation in Lech or the apres ski? Is there anywhere else you have taken the train to ski? if so, please contact us and share you experiences using the contact link at the foot of the page.